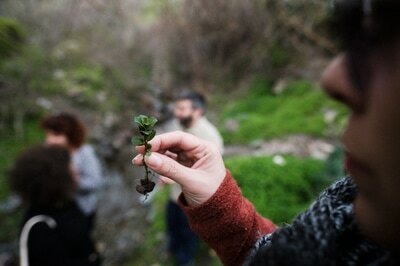 Join one of our tours to learn about the delicacies hidden in Cretan nature. Explore the culinary culture and natural landscape off the beaten track. Foraging is the search for wild food. Although it has seen a revival around the world in recent years, foraging has been commonplace throughout the history of Crete, including in recent times. Through drives and walks around the island, we will embark on a group culinary adventure full of flavours, scents and imagery. Our tours are for anyone who enjoys being out in nature. 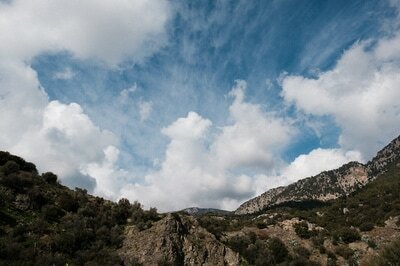 We take time to explore and enjoy Crete and all it has to offer. The food we collect and prepare is plant-based, but participants have complete freedom to select their own meals at our visits to traditional local restaurants. You can join us if you are an experienced forager or just curious to try it out. ​Everyone is welcome, regardless of ethnic background, religion, gender, or sexuality. Please have a look at our foraging tours and contact us to book a place. ​Can't find an event that suits your needs? 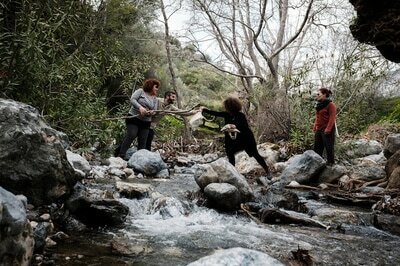 Contact us to arrange a tailor-made foraging tour for your group.